The Autumn Series is going to be a series of opens, with an optional league incorporated in to it. A hard overnight frost of -4, things weren’t looking good but miraculously the two waters were fishable, with Wallace Lake clear and only 6 pegs on Queensberry Water iced over. A nice crisp dry day, pretty much flat calm with a slight breeze now and again. A smaller field today with 4 league anglers absent ( they probably thought better of it.) !! 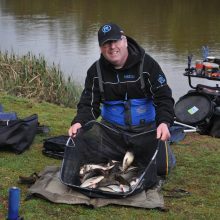 The draw would play a big part today with two anglers tied on points after 3 rounds, Rob Swan and Barry Young, but Rob having a substantial weight advantage… With a few others still in contention. 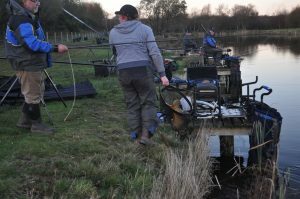 Rob drew well with end peg 23 on Queensberry Water, but Barry drew the end peg on Wallace Lake and had a real shout of clawing back the weight deficit. Barry started well with 6 carp in six casts on the tip rod, using a white ” pop up ” fished over liquidised bread, with Rob starting to string together some roach and small skimmers. 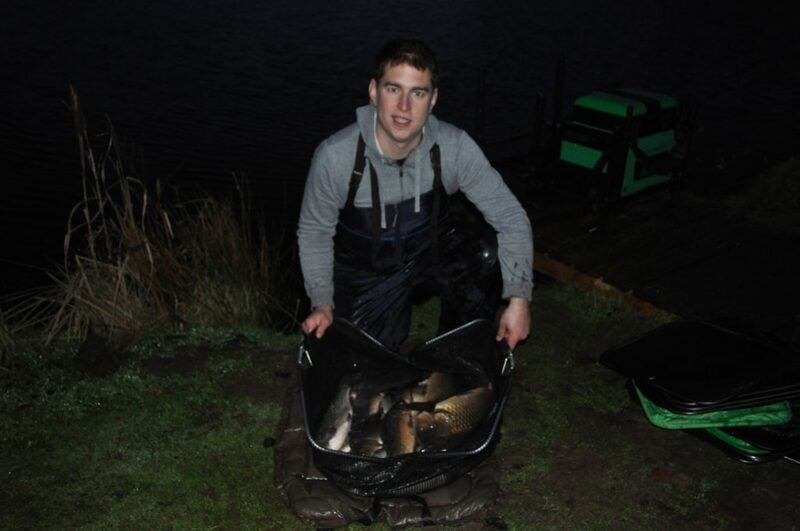 Elsewhere on Wallace Lake it was a slow start, with odd small silvers caught. 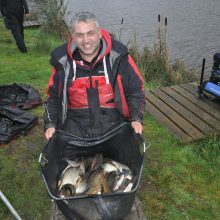 Mark Lyons did well on Golden Peg 42 to weigh in 15lb 10oz of silvers caught on pole to finish 2nd ( Mark had done well finishing first in two previous rounds but had missed a round which ultimately cost him dear.) . 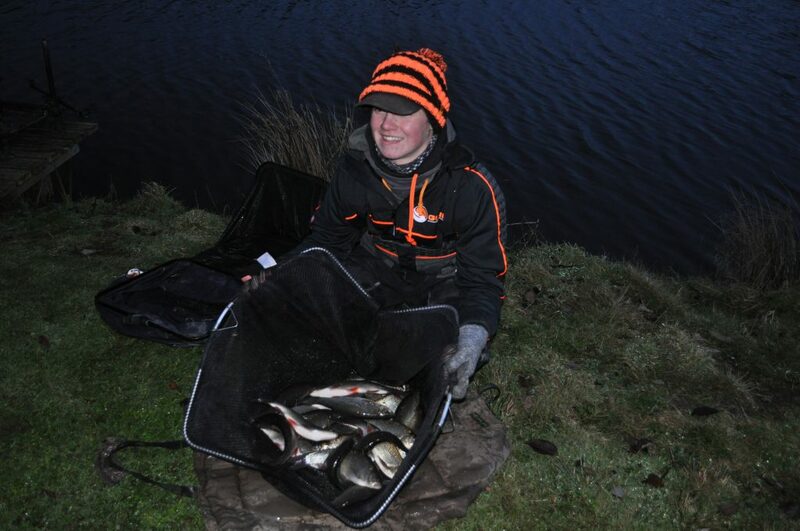 Rosen Arsov finished 3rd with 13lbs 14oz of small silvers caught on pole / maggot. Back on peg 34 Barry managed a decent skimmer on the pole before a quiet spell, but between 2 o’clock and 3.30pm the carp really switched on, he managed another 15 carp ( 21 in total.) to weigh in 49lbs 8oz, winning his section and the overall match – a great weight for mid December. 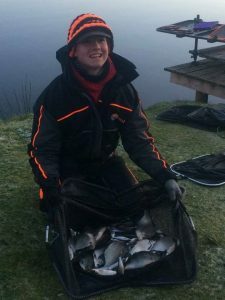 Back on Queensberry Water it had been a real old slog for all concerned, with Rob keeping busy on the silvers to also win his section with 10lbs 12oz, a good effort yet again on a tough day. 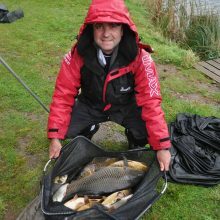 A late F1 carp for Symon Willan was enough to secure him 2nd in section, which would also help him in the final standings. Only 10oz separated Symon from the next 2 placings, hard going but extremely close. With Rob and Barry still tied on points ( 36 out of a possible 40.) after the 4 rounds, ultimately weight would decide the winner. 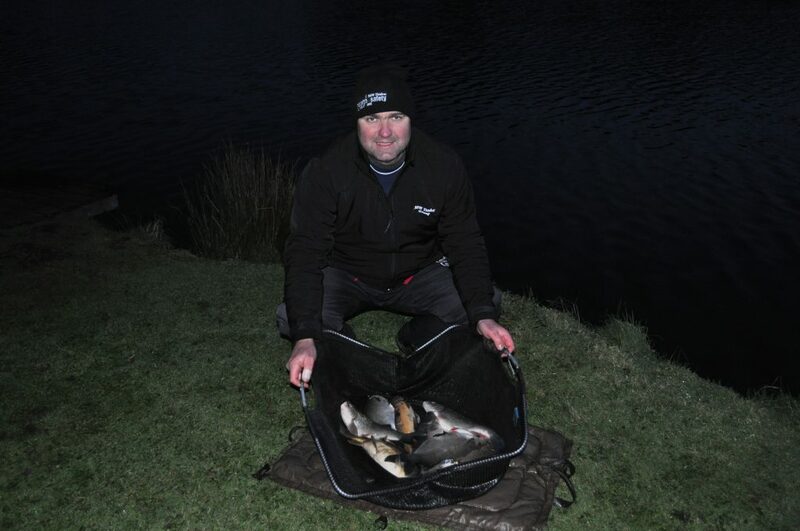 It couldn’t have been any closer, only 1lb 8oz, with Barry Young taking 1st place, Rob Swan 2nd and a worthy runner – up. Paying out the top 3, weight would also decide 3rd spot, Symon Willan and Rosen Arsov both tied on 32pts, but Symon Willan winning on weight. 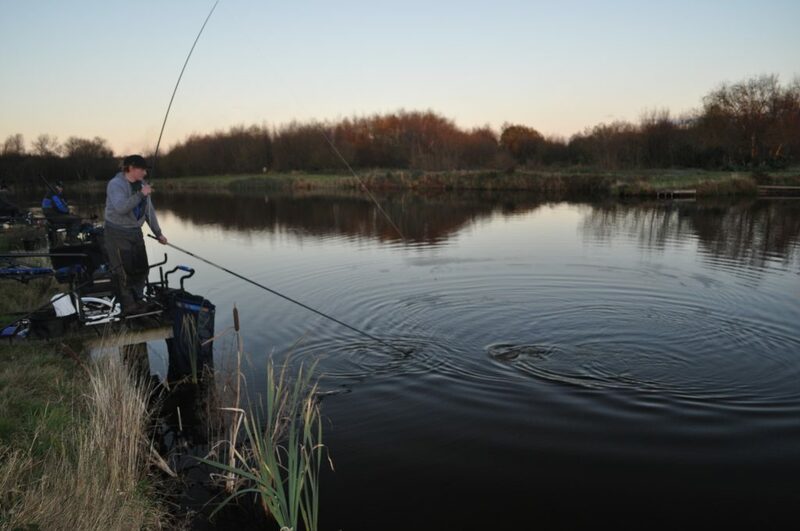 A frosty start, dry with a gentle 8 – 10mph wind, perfect conditions for pole fishing, but then again winter is definitely here..! A pleasant enough day to be outside, but with all the mid week rain, the waters levels in the ponds were a good 10 inches deeper than normal and the water temperature was a lot colder too – never a great combination with regards the fish feeding. 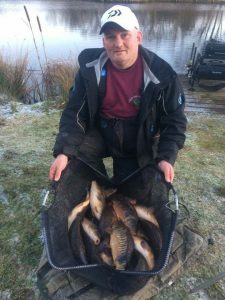 On Wallace Lake Symon Willan capitalised on end peg 35 catching a few carp on the pellet feeder to weigh in 32lbs and win the section, a decent effort considering the end peg normally produces 50lb +, but the conditions reflecting on the lower weights throughout. 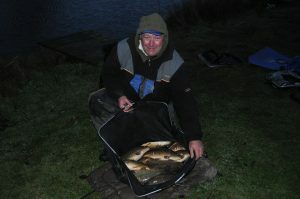 Nick Aldersey was 2nd from peg 42 with 19lbs, picking up valuable league points. 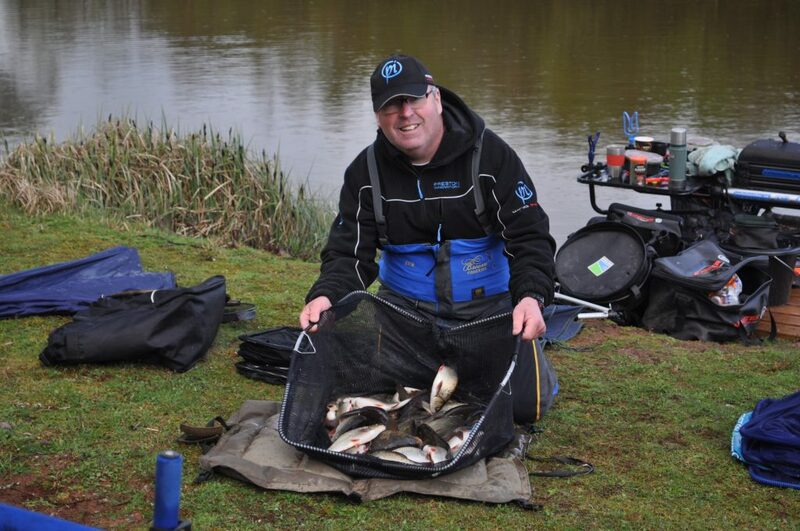 Rob Swan took 3rd place with 15lbs 6oz of ide caught on the maggot feeder, also picking up good points to keep him tied at the top of the leader board on points with one round to go. Queensberry Water was equally as hard today, with long quiet spells and short spells of feeding activity. Those elusive bonus fish would make all the difference the weigh in, with lots of small fish making up the bulk of the weights. 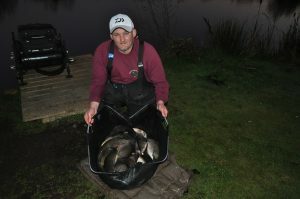 Mark Lyons drew well in peg 20, and after recent baron matches the culvert produced 12 small carp on the method feeder, giving him 29lbs 6oz and the section win. Rosen Arsov took 2nd place with a small carp, some big ide and a couple of good skimmers on the tip rod to weigh in 16lb 10oz. 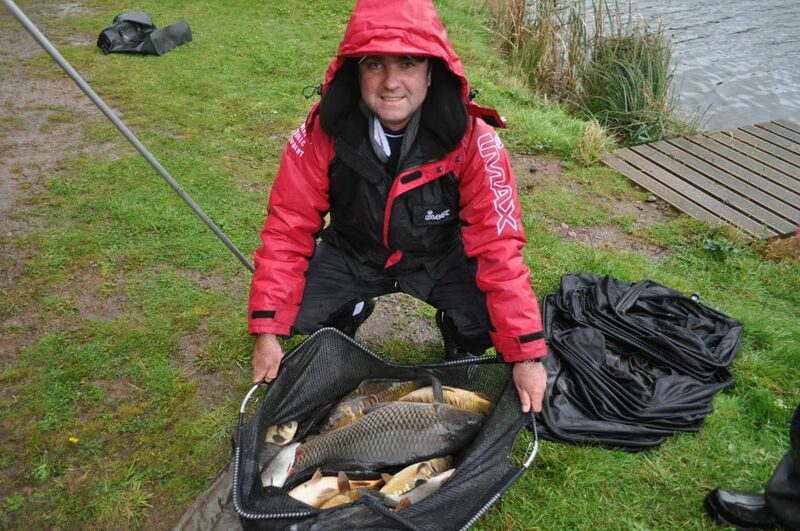 3rd place would be a closely contested affair, with lots of small roach an skimmers getting caught between Ian Whitson, Steve Royle and Barry Young, with Steve Royle having a good skimmer and a chub, and Ian also having a bonus big ide and a skimmer. 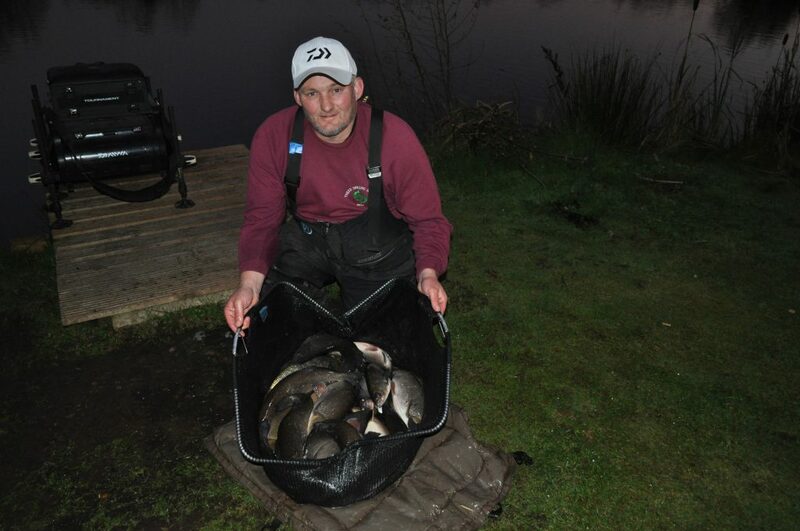 A quick change of feeding quickly put a big ide and a good skimmer in the net for Barry Young, and with his last ” put in “, a 1.5lb chub tipped the scales narrowly in his favour to secure 3rd spot, and valuable points were secured to keep him joint top of the league on points with Rob Swan. A typical dry winters day today with quite a bit of sunshine, warm for the first half of the match and baltic for the later half..! With the exception of Rob Swan on the end peg 35, a reasonably close section today. 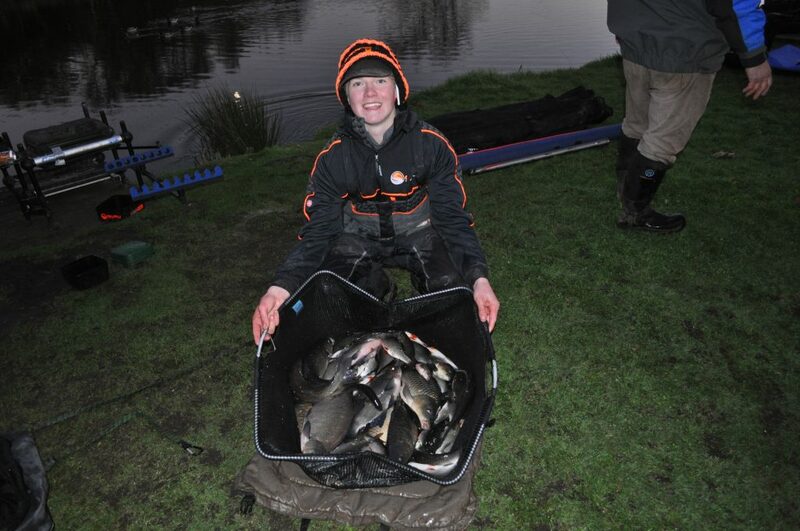 Rob weighed in a superb 57lbs 8oz to win the section and overall match catching ide shallow early on, then Carp on the feeder and in the margin late on. 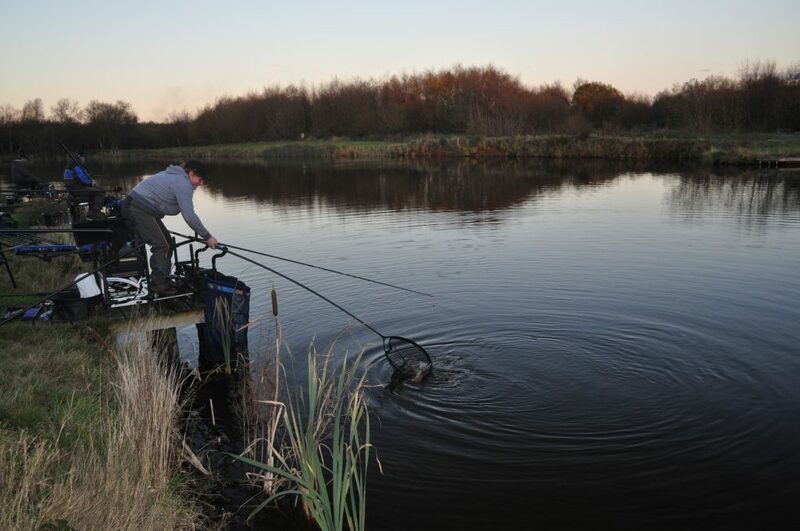 The carp still seem to ” Ball up ” at the shop end of the lake in winter despite it only being an average of 4ft deep, favouring here over the 8ft areas.?! 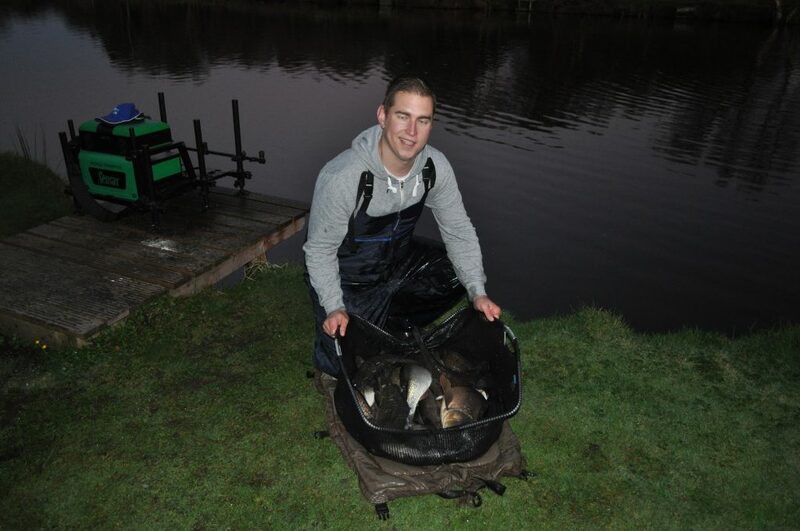 Simon Heyes ( Open Angler.) 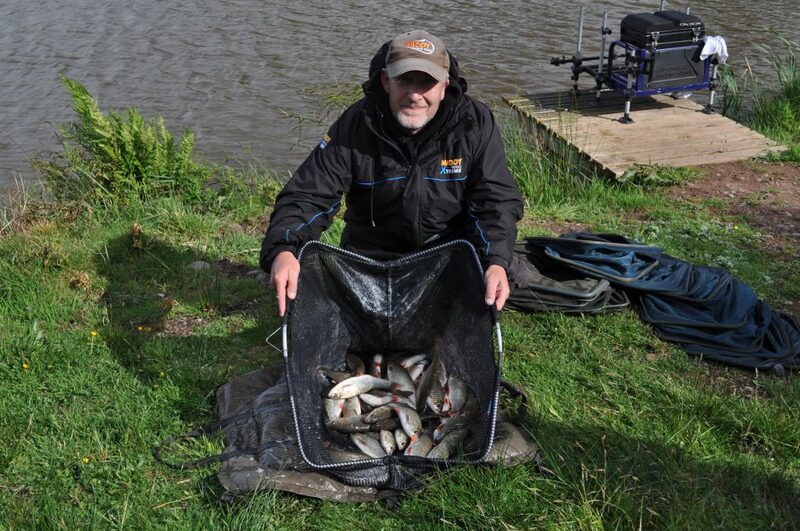 finished 2nd on the lake with 17lb 4oz of silvers picking up the pools money for runner up, with Barry Young weighing in 16lbs 12oz finishing 3rd overall but picking up 2nd place league points. Not much separated the rest of the section, but bites were pretty much non existent from 2pm onwards. 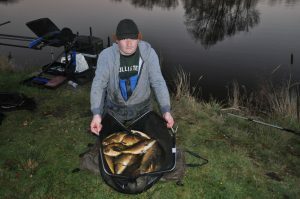 On Queensberry water Steve Royle took the spoils with the help of a 4lb carp in the last 10mins, weighing in 22lb 6oz in what turned out to be a very tight section. 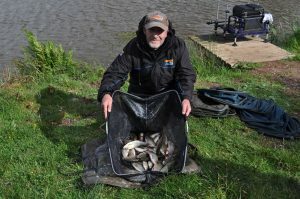 Geoff Whittle finished a very close second with 21lb 6oz from hot peg 20, with Jerry Blythe weighing in 21lb to finish 3rd. 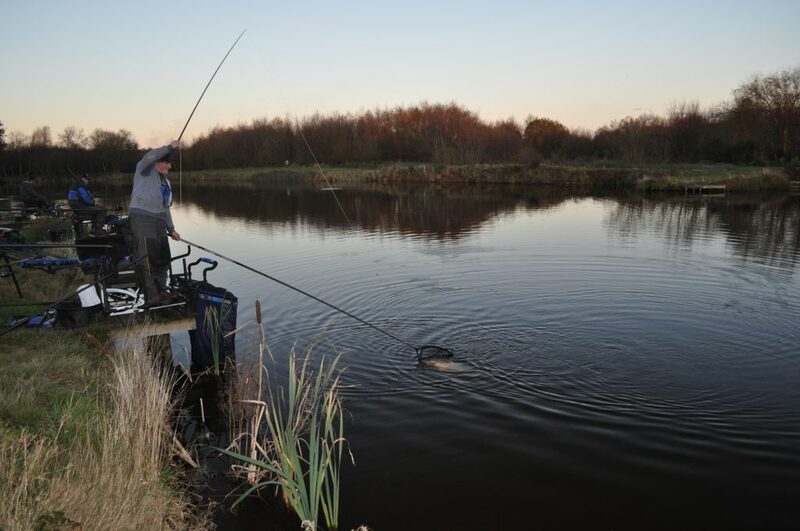 Typical winters day with more realistic winter weights today, but very close sections on both waters. An unusually nice day at Broom weather wise… ! Dry, bright and only 10-15mph winds with the odd gust around 20mph. 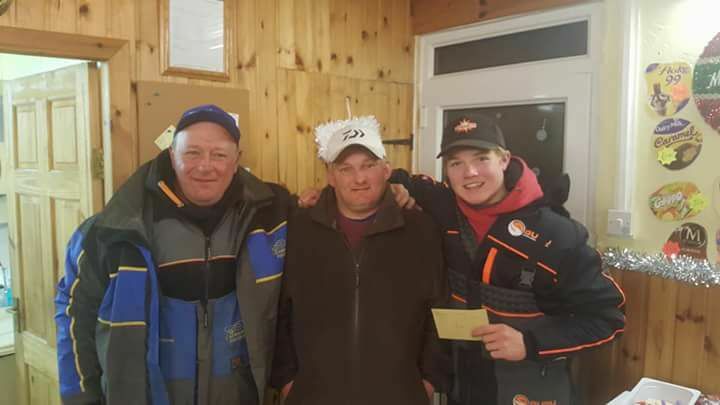 On Wallace Lake Thomas Woodman won from end peg 33 with 70lbs of carp caught on tip rod and pole, which included a 15lb cracker of a common carp. 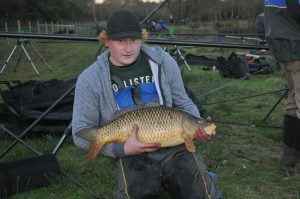 Ian Hickson finished 2nd with a respectable 27lb 4oz effort at the opposite end of the lake. 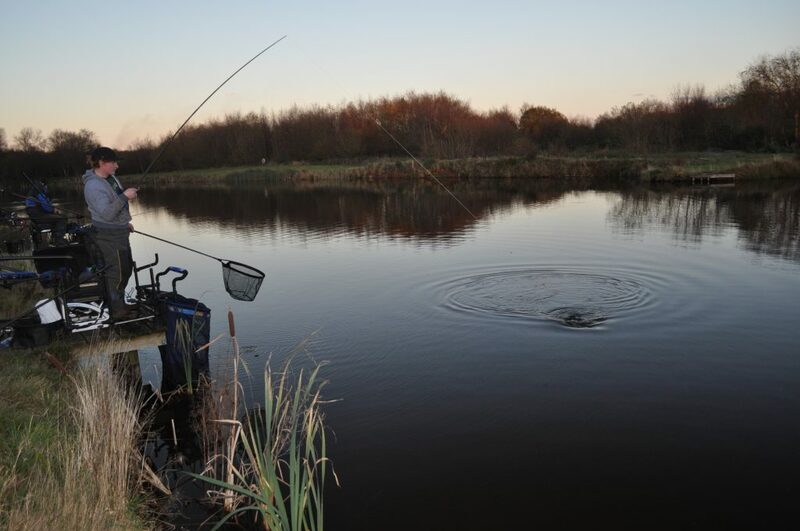 Luckily for those in the league, both end pegs were occupied by ” Open ” anglers today which ultimately, does not affect the league points. 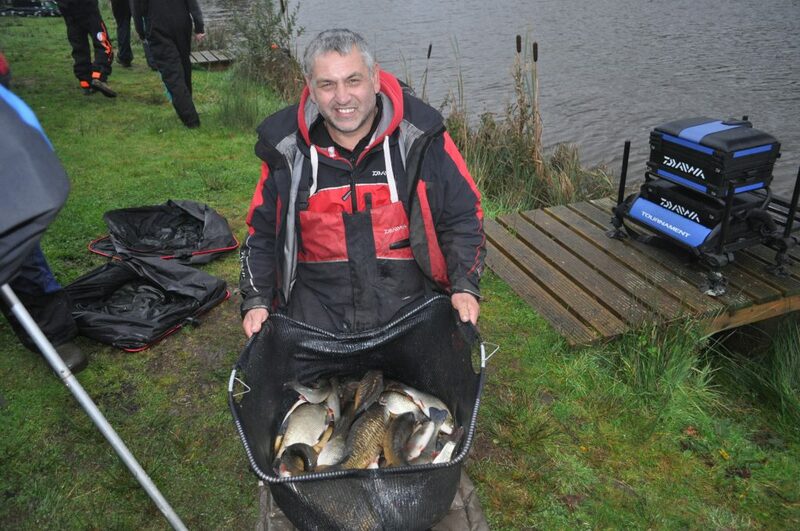 Top league points went to Rosen Arsov today who finished 3rd overall in the section, with the remaining anglers picking up points depending on their overall positions below him. The water was quite clear in Wallace Lake today, but a tight enough section with decent nets of skimmers, small ide and roach. 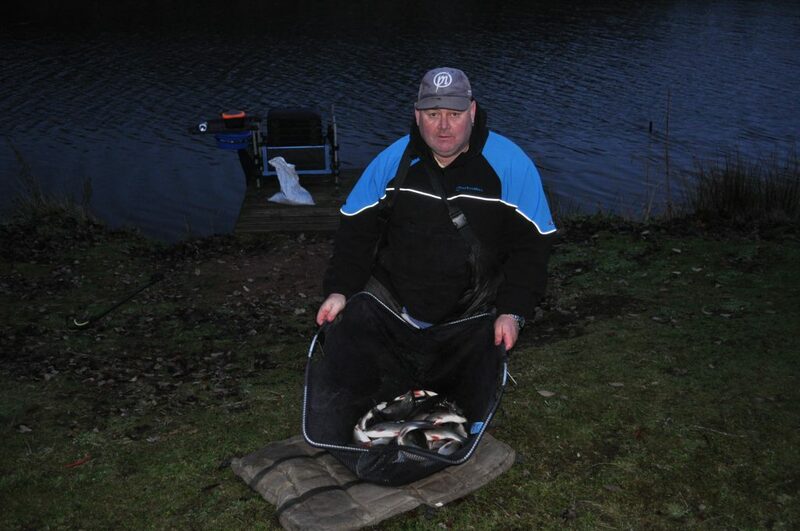 On Queensberry water it fished reasonably well to, considering the overnight temperature was only 2 degrees. In what turned out to be another tight section, Mark Lyons took the honors today with a great 49lb 10oz effort, consisting of carp, skimmers and ide caught on pole and feeder rod. Barry Young was only 1lb 14oz behind, finishing a very close second with 47lb 12oz, a mix of ide, chub, skimmers, carp and Barbel caught on pole / maggot. 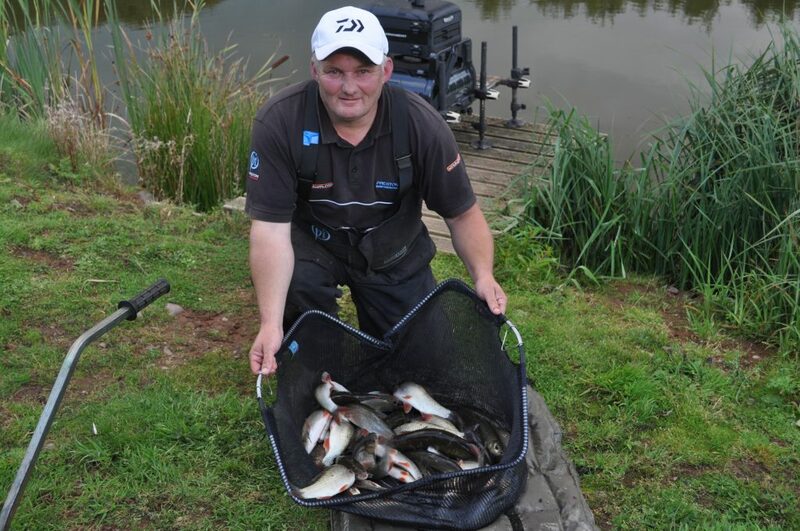 Rob Swan put in another consistent performance to finish 3rd with 41lbs from end peg 26, with small carp, skimmers, ide and some lovely big roach all caught on pole. Nice start to the Autumn league, well done guys.